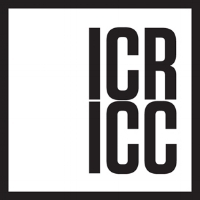 ICR-ICC is the architectural conservator on the team, designing materials and methods to protect the designated historic materials such as interior plaster and woodwork, exterior limestone and sgraffito which make up the main façade. 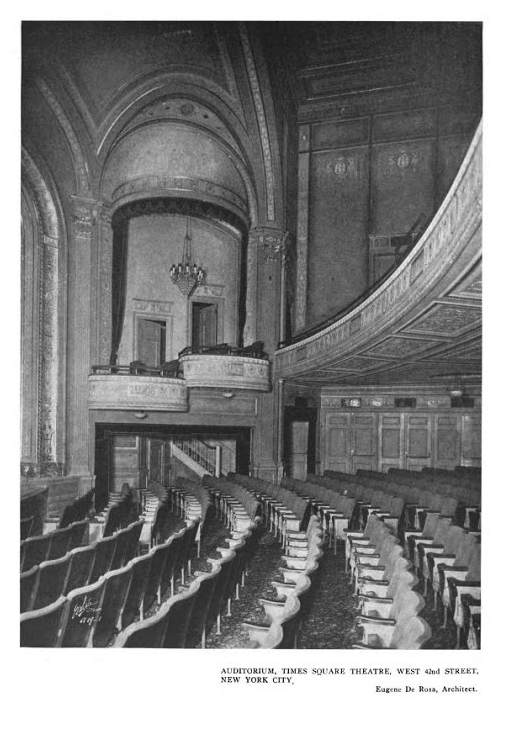 To meet the guidelines developed by New42 (the non-for-profit organization set up to oversee the redevelopment of seven theaters on 42nd Street), ICR has carried out in-depth existing conditions surveys, testing and the design of potential conservation and stabilization treatment options. ICR is also responsible for developing the architectural conservation specification sections and drawings that will guide this detailed and challenging project. Work involves the careful documentation and disassembly of the designated plaster and careful crating and shipping to a plaster conservation shop. ICR will provide construction administration services to ensure that the goals set out in the design phase and agreed to with New42 are carried out. ICR will also provide oversight for the retrofitting of the plaster panels and their resetting when they are brought back to the site. In addition, ICR has developed conservation treatment plan for the exterior limestone façade and decorative sgraffito panels. To improve the quality of the retail space the limestone façade will be lifted approximately 6 feet from its present position. Working with the design team, ICR has designed a temporary and reversible stabilization system to support the delicate sgraffito as it is lifted. 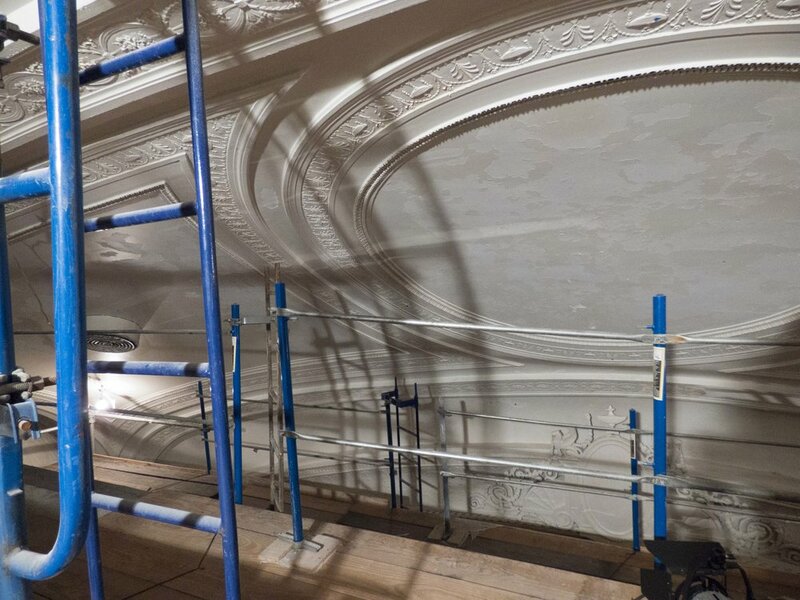 In addition, ICR has designed a full architectural conservation program for the entire façade that will be implemented once the façade is lifted and stabilized in its final location. ICC has provided mock-ups and probes in the design phase and will be assisting in delicate aspects of the work. We will continue to post updates as the project as the project advance.